Divi is a hugely popular WordPress Theme for very good reason, but no WordPress theme is perfect and no, neither is Divi. In the various online Divi communities we regularly see a number of recurring shortfalls that the Divi theme has, and the lack of ability to fully customize the header layout and content (and footer too) is one of the top 5 grumbles. As the owner of the Divi Theme Examples showcase gallery, I obviously see a lot of websites built with Divi and one of the main giveaways of a site being built with Divi is the header and navigation. We do have options as part of the default theme settings and customizer settings but those header options are limited. The good news is that there are a few premium Divi plugins that have been developed by 3rd party plugin developers to help you create a totally unique header and navigation and I will be listing a few of the best in the post below. The Mighty Header & Menu Maker plugin for Divi allows you to create custom Headers, Menus & Mega Menus using the Divi Builder. The plugin comes with 8 pre-designed header layouts which can be used as is or further customized in the Divi builder. You have a number of other options such as swapping Header, menu & logo per Page and/or device, various scroll options (scroll, stick to top, stick to bottom, start at bottom and stick to top on Scroll etc.) and full control over background images, gradients etc. The Divi Desktop Menu Customizer plugin allows you to customize the Default and Centered header formats of Divi theme. A number of extra navigation styling options are added via the theme customizer. The Page Builder Everywhere plugin allows you to use the Divi builder in areas of your page not allowed by default, including above and below the header. Just create a new layout using the Divi builder and then assign it to one of the 5 new widget areas added by the plugin. The Quadmenu plugin is a Divi compatible mega menu plugin which adds various mega menu features to your Divi site. 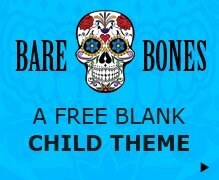 You can use the free version but this comes with limited options and you will also need to have a second plugin to make it play with Divi. The Divi Icon Party plugin form Aspen Grove Studios allows you to add 20 extra social icons into the Divi header, footer and navigation menu. Divi Ultimate Header Plugin allows you to replace the default Divi header & navigation with 1 of 5 pre-made custom header designs via the theme customizer. You can then edit the headers using the Divi builder and also have the option make the custom fullwidth menu sticky / fixed on scroll. Looking for cool Divi Header examples? 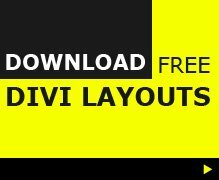 If you are looking for inspiration of what others have done with the Divi header check out the Divi showcase which currently has over 1800 live Divi examples listed or take a look at the post for Divi websites with customized Divi navigation.